Not content with just being a mobile device, an Apple iPhone 6 explodes in a car. Over the past couple of years, it seems like the iPhone has been experiencing more than its fair share of drama as stories surrounding the device have kept it in the news. Most recently, Apple has been found out for admittedly slowing down devices for what most believe is an attempt to sell more of their newer devices. However, one story that you’ve probably been hearing about for quite some time now is how, sometimes, the batteries in these devices like to explode out of nowhere. This is a story that, if you’ve caught wind of it, has probably put a little bit of worry into your head as nobody likes the thought of having an exploding phone in their pocket… or on their dashboard. This time, we follow a situation that has nothing to do with Apple’s design, rather, someone’s decision to put an aftermarket battery in the phone. A battery that, in this situation, the Apple hardware didn’t quite agree with. 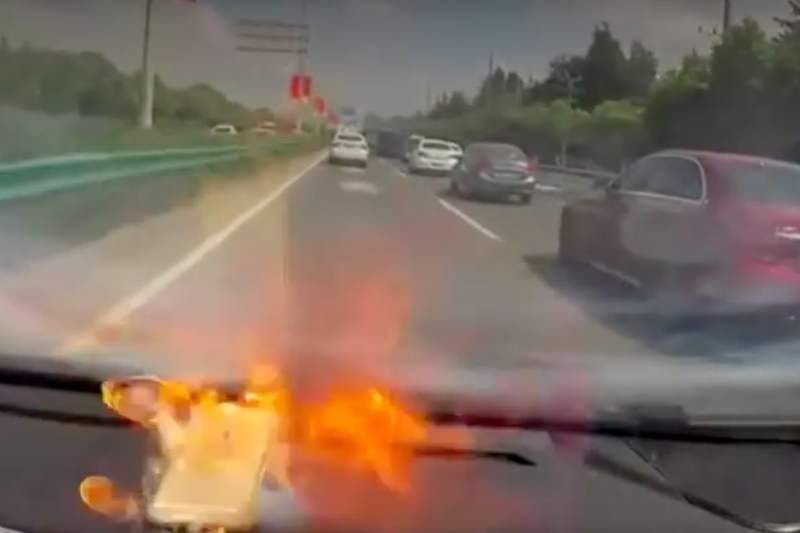 The device spontaneously erupts, directly in front a rolling dash cam, suddenly going up in flames and leaving the driver a little bit terrified as they stop in the middle of traffic – probably to make sure that they don't go up in flames with the entire car too as the iPhone burns away on the dashboard. Press play in the video below to get a glimpse of the situation as the phone erupts out of nowhere, inciting confusion in a situation that really could have gotten dangerous in a hurry. Afterwards, the company that installed the battery did admit that it wasn’t the phone’s fault but instead the aftermarket replacement battery. In either situation, it's certainly a set of circumstances that nobody would want to be a part of. What Can We Expect From The Apple Car?